It’s funny how the most banal observations can trigger memories from the far distant past. Today, when I was out on my walk, I saw a little boy running home with a small, brightly wrapped package. There was no ribbon or bow, just a brilliant red wrapping. Suddenly, I was transported back in time nearly fifty years. I worked weekends and summers in my Grandfathers grocery store and gas station. 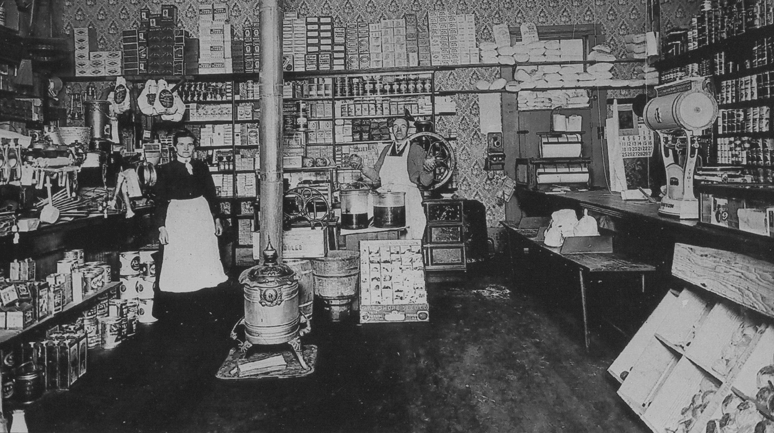 We had a pretty good line of groceries and sundry items to fill the needs of our customers. Inside the store, there was a very high shelf filled with green wrapped boxes. There were no labels on the boxes, so they were a mystery to me. To retrieve anything from that shelf required a broomstick or a stepladder. The broomstick filled that need most of the time. I however, as a young boy, was never allowed to retrieve anything from it. 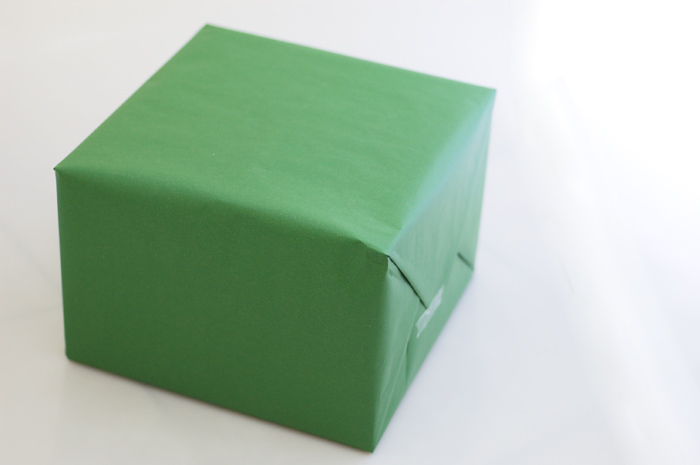 The contents of the green boxes remained an enigma for several years. From time to time a woman would enter the store and I would greet her. With a quick sideways glance at me, she would approach Aunt Willie and whisper in her ear. Instantly, Willie would invent a chore for me to do. If the weather was nice, it usually entailed “sweeping the front”, meaning the area between the doors and the gas pumps, or taking the empty soft drink bottles out to the storage room. After a few minutes, the woman would emerge from the store, carrying a brown paper bag with a relieved look on her face and take off toward home. Now, if it was bad weather, that chore that suddenly needed doing would be dusting and fronting the shelves… in back of the store. Being a very young boy, curiosity abounded. I wanted to know everything! So, I would be happily swishing that ostrich feather duster as I peeked through the shelves to see what the woman wanted. Every single time, she wanted one of those green boxes. Oh, how I wanted to know what was in those boxes! It wasn’t to be. When stock was delivered, if that mysterious product was included, it was left for last. When the last can of Crisco and the last bag of pinto beans was shelved, I was sent on an errand… out of the store. When I came back, a quick glance upward revealed that the green boxes had been replenished by Willie. Feminine hygiene products have come a long way since those long ago days of the 60s and early 70s. 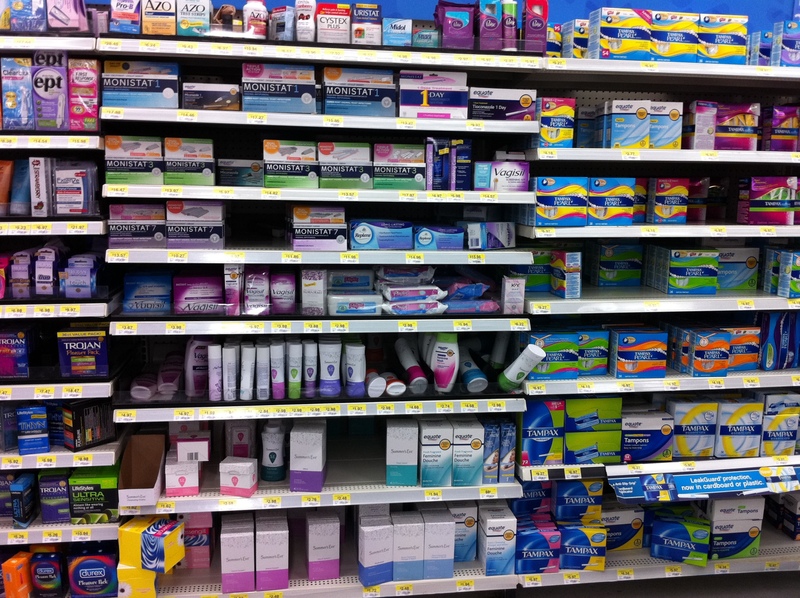 A walk through the aisles of any pharmacy, big box store, or supermarket will eventually lead to shelves and shelves of brightly colored “womanly things”. Sanitary napkins, tampons, mystical ointments and liquids of every size, shape and description scream out for attention. Not so in those days, though. 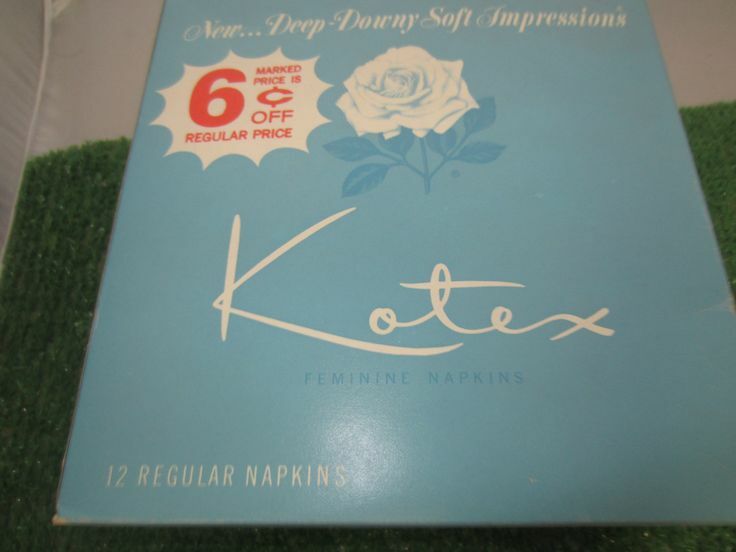 Willie had one brand; Kotex, and they were hidden from the prying eyes of the public… and young boys! If you enjoyed this post, make your day even brighter by visiting some of my friends. 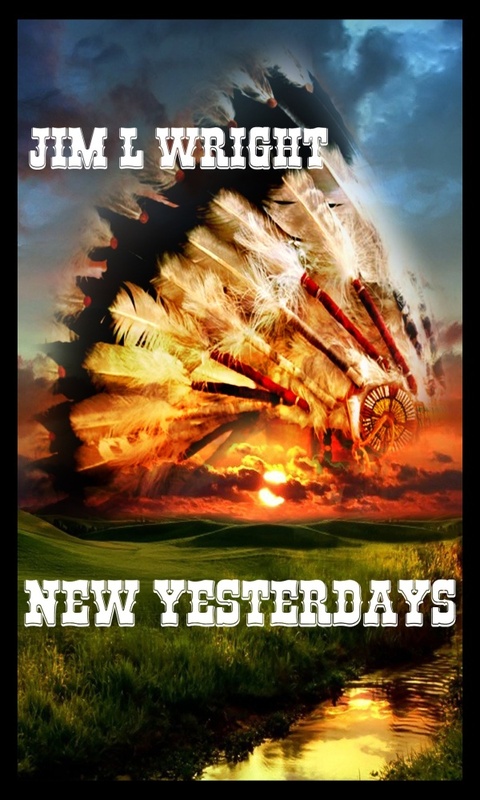 New Yesterdays is available at Amazon, just waiting for you claim your copy. Come on over! This entry was posted in Random Musings and tagged Alabama, Memories, northeast alabama, random thoughts. Bookmark the permalink. Oooh, that mystery box on the shelf, boy do I have a memory for that! ♥ this post. Welcome to Ol’ Big Jim’s Place, Wanda! I’m so happy you came by and left a few words for me. Come back anytime!